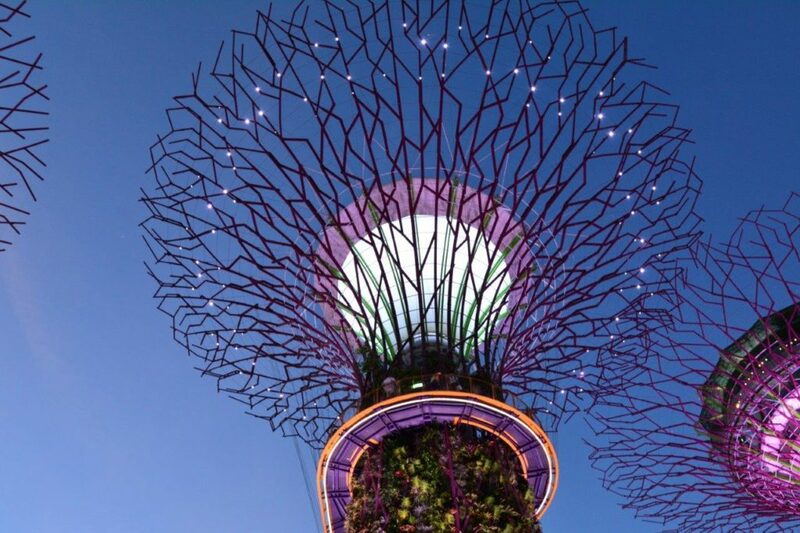 Dubbed as Asian Tiger, Singapore offers one of the most contemporary cityscapes, impressive skyline, botanic garden, top notch nightlife spots, high-end dining, glittering shopping malls and much more. 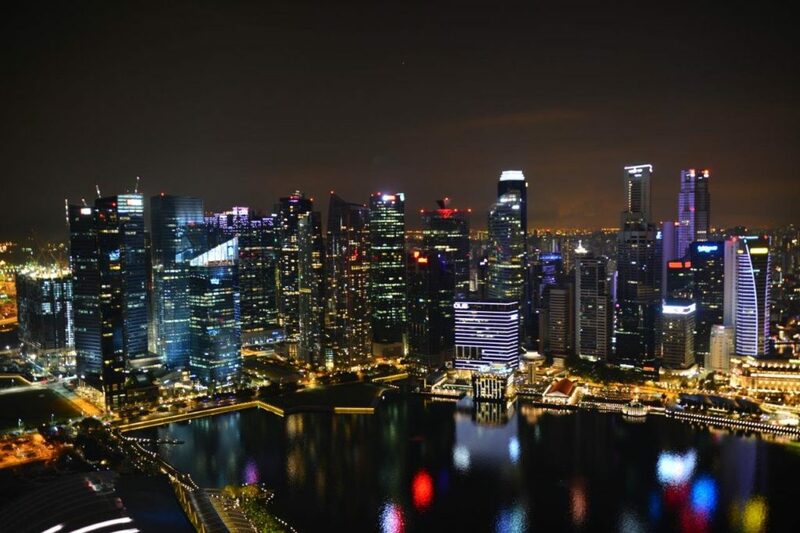 From merely a colonial backwater, Singapore has morphed from the third world to the first world in a single generation. Despite its tiny size, it is a multicultural city-state with five official languages and English serves as the nation’s lingua franca. 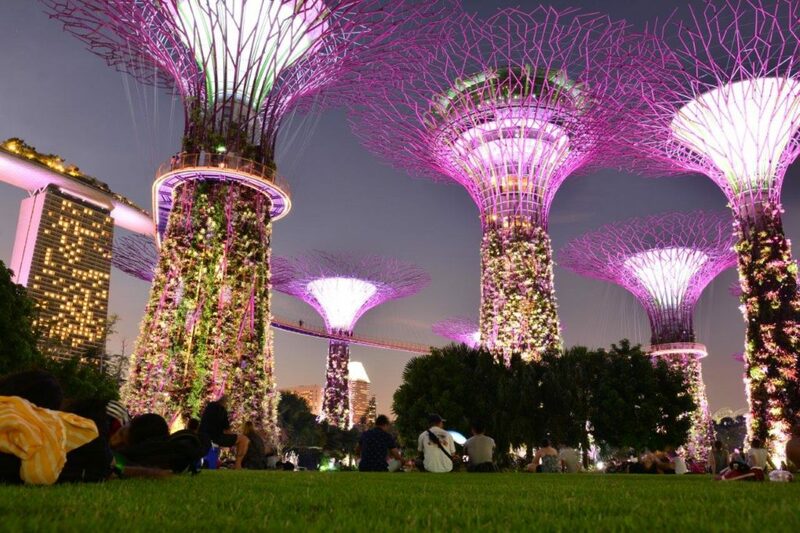 It is widely popular among solo female travellers being the safest country. 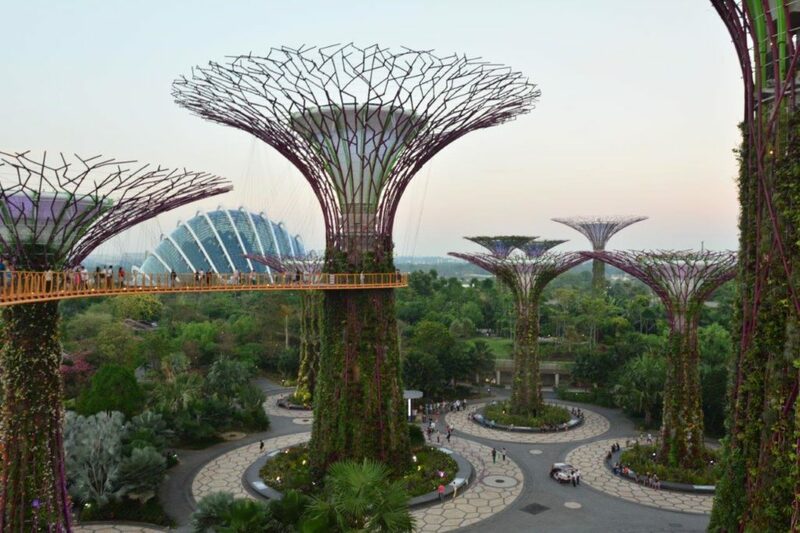 Singapore is pursuing its vision of a city in a garden by engraining a vast number of trees and gardens. 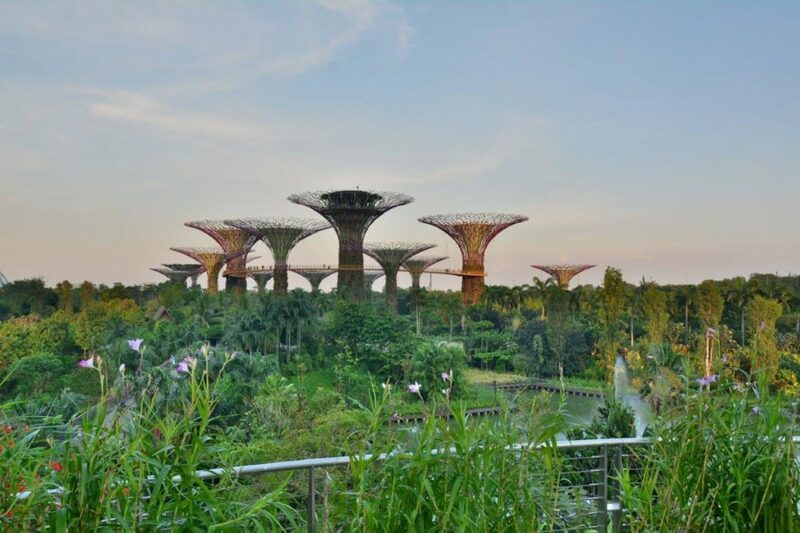 Slightly over 7 hours of flight from Dubai, I reached Singapore on a direct flight. By the way, Singapore Airlines was announced as the World’s Best Airline in 2018. Unlike my most of the travels, this time I was travelling with one of my buddies. Having some rest after checking in to our hotel, we went on to explore the city. 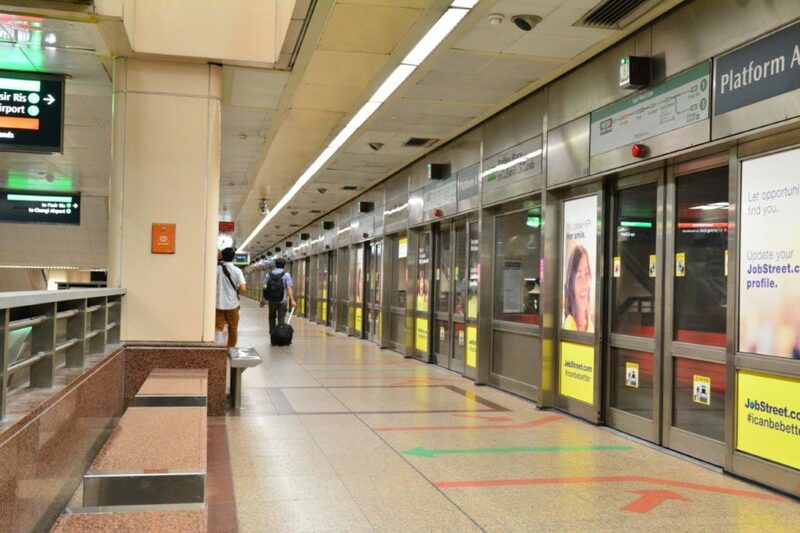 I loved Singapore metro system called MRT (Mass Rapid Transit). It connects the whole city and you do not need a cab to reach any place in the city. 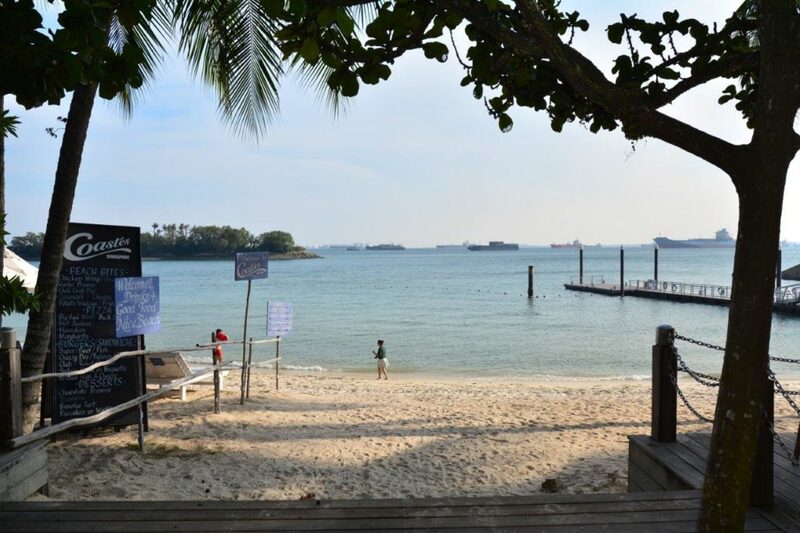 The temperature remains almost uniform throughout the year ranging from 22 to 35 °C but with high humidity. 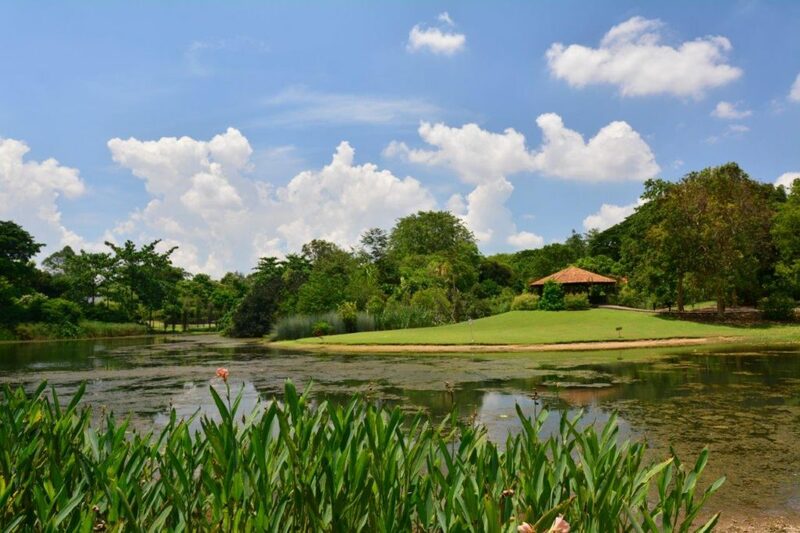 We headed to 150-year-old Singapore Botanic Gardens which is a UNESCO World Heritage Site – one of three gardens in the world but just after 10 minutes of walk we realised we could not stand the humidity, it was midday, and there was no one in the garden certainly because of the hot and humid weather. 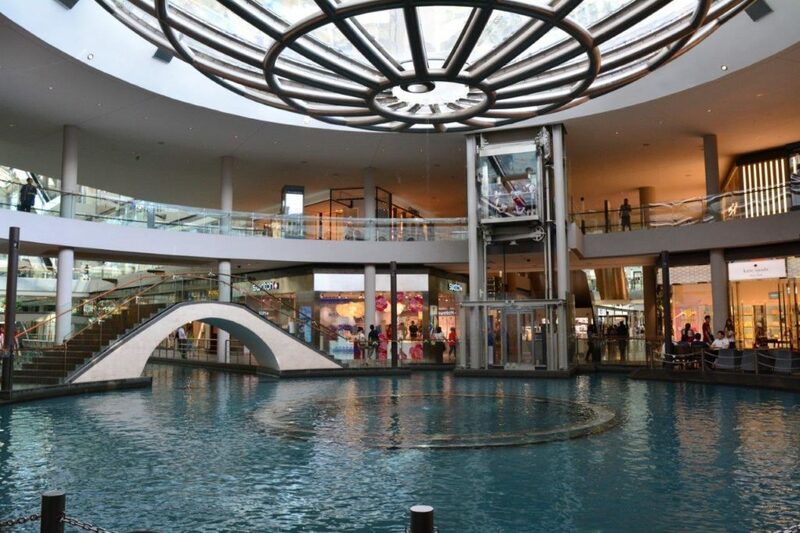 If you wish to visit it, you better plan it for early morning or late afternoon. 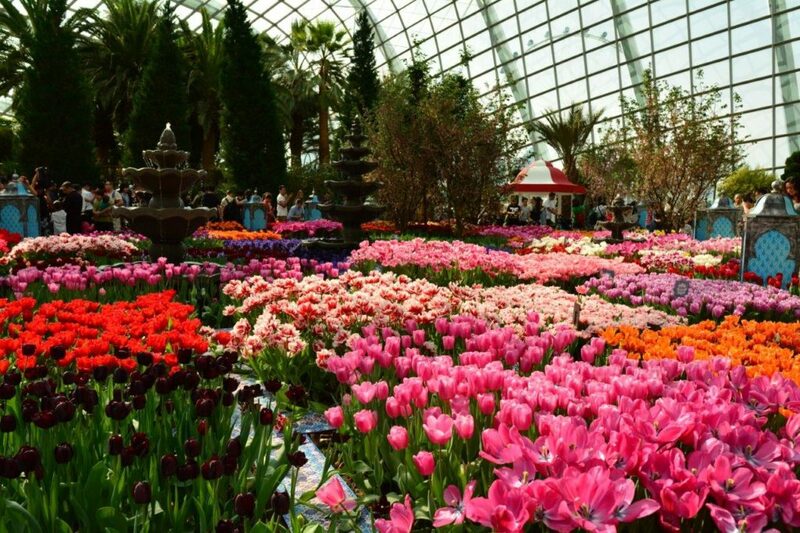 To avoid the heat we headed to Garden by the Bay which has many indoor areas including Cloud Forest which replicates the cold, moist conditions found in tropical mountain regions between 1,000 metres and 3,000 metres ASL. We were taken away by the sight of a 42-metre high “Cloud Mountain”, accessible by an elevator. Upon descending it by stairs, we were blown away by refreshing cool air from a 35-metre high waterfall. 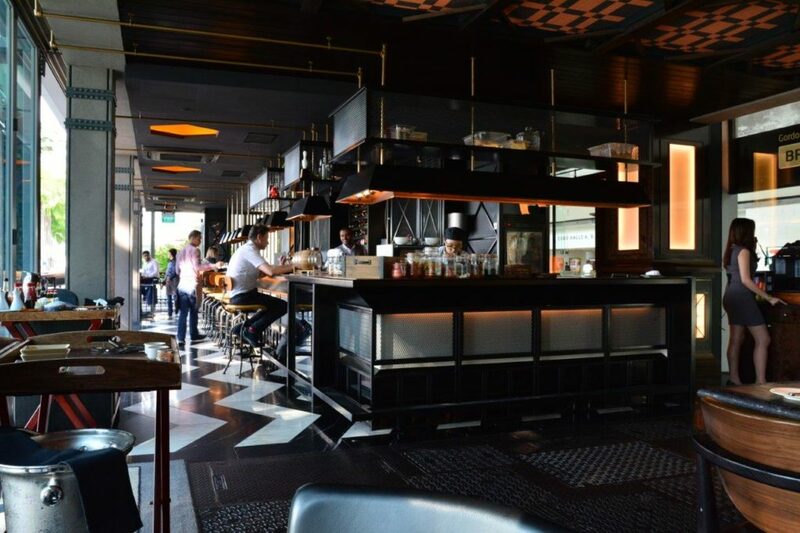 For lunch, we headed to Bread Street Kitchen which is a restaurant by Michelin star celebrity chef Gordon Ramsay. We had a green salad and fried fish which were delicious. It was already late afternoon and weather was considerably better now. 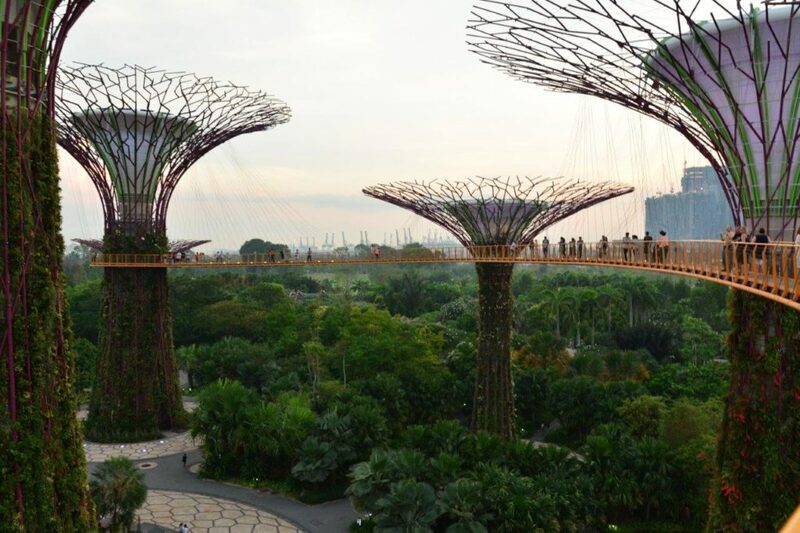 We headed to Supertree Grove which are tree-like structures with heights from 25 metres to 50 metres. It was worth spending some time around here waiting for the sunset as every night these trees present music and light dancing show. 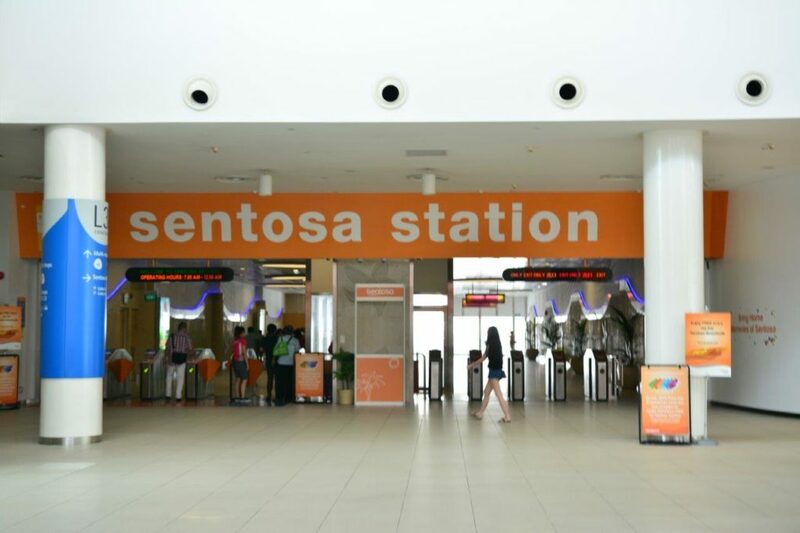 Next day we headed to see the ethnic district of little India, the famous shopping mall Mustafa Centre is located here. 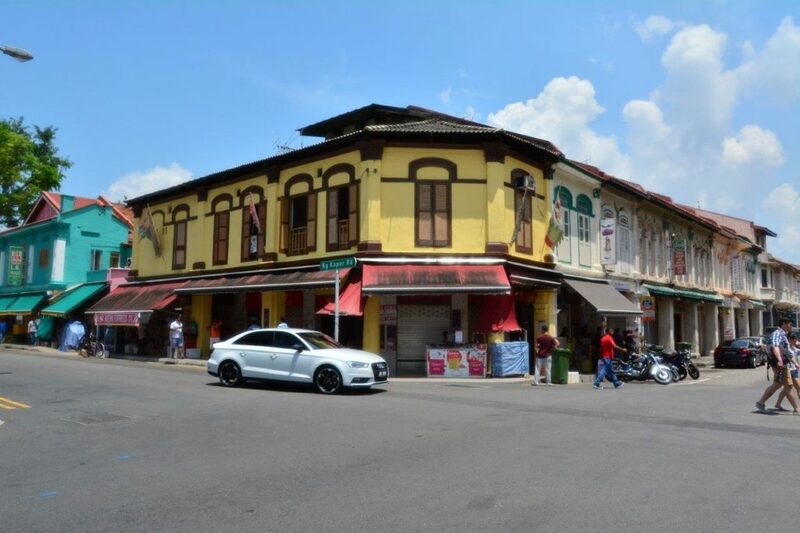 Decorated with Moorish arch-work, the famous Abdul Gafoor Mosque built in 1859 is also found here. 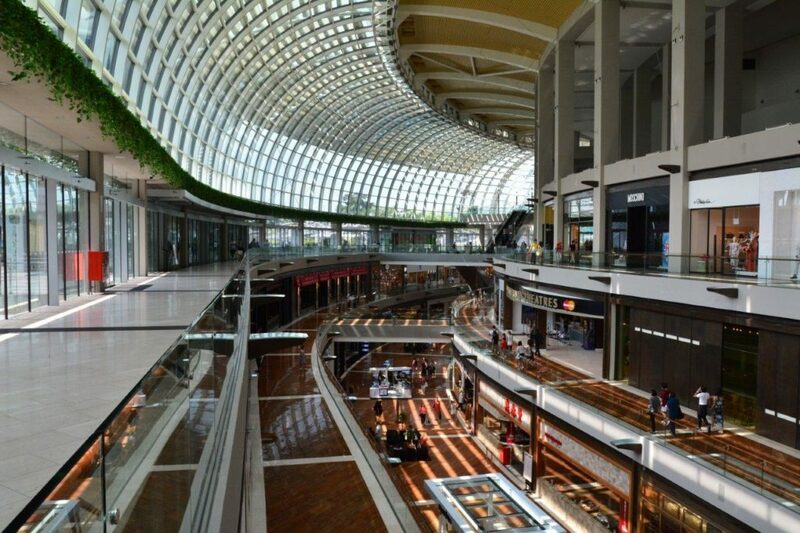 Next, we headed to Marina Bay Sands, an integrated resort hosting the world’s largest atrium casino. 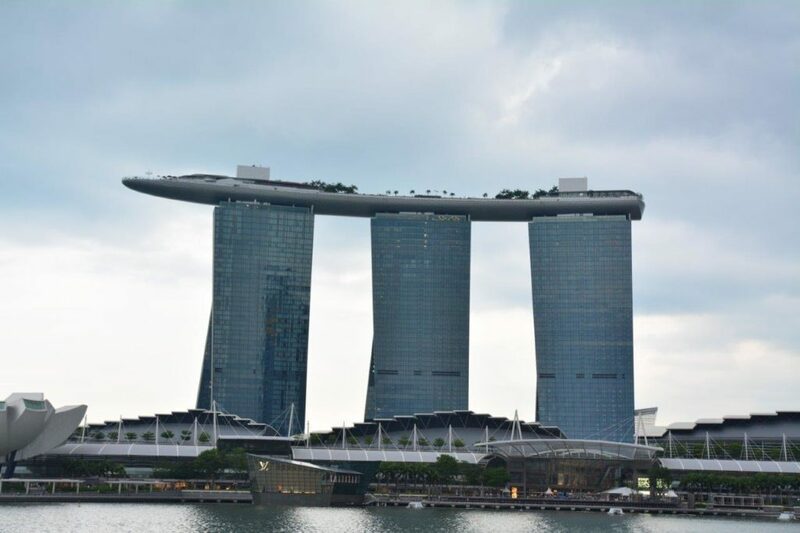 The complex is topped by a 340-metre long SkyPark and world’s most extended elevated swimming pool with a 146-metre vanishing edge; a concept called an infinity pool located 191 metres above ground. 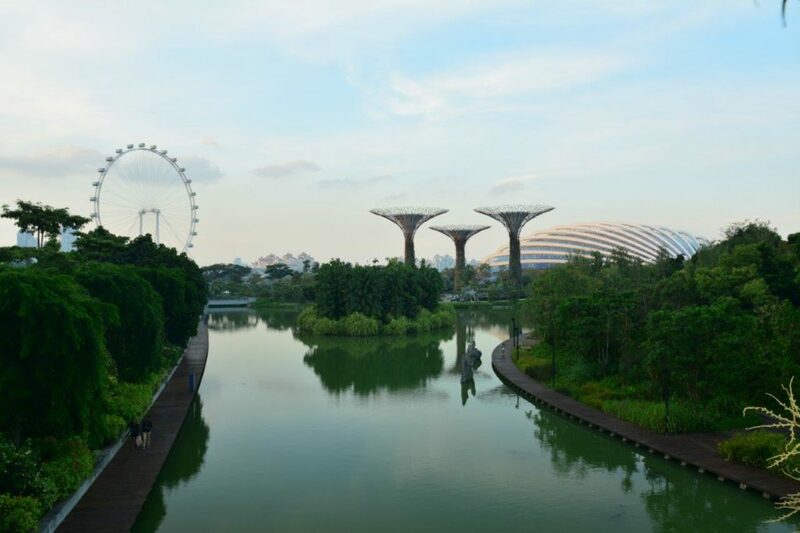 The SkyPark is accessible to the hotel guests only. 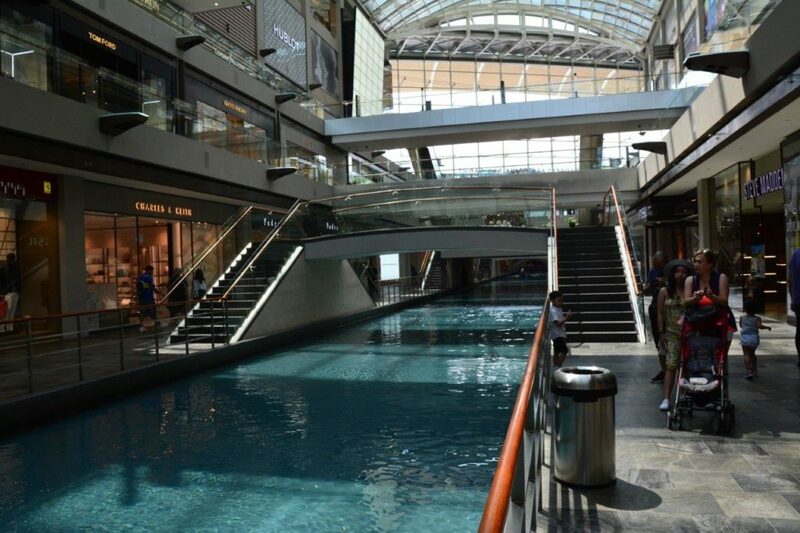 It features many high street outlets such as Ralph Lauren, Chanel, Cartier, Prada, Gucci, Hermès and Emporio Armani to name a few; after all it is the world’s most expensive city. 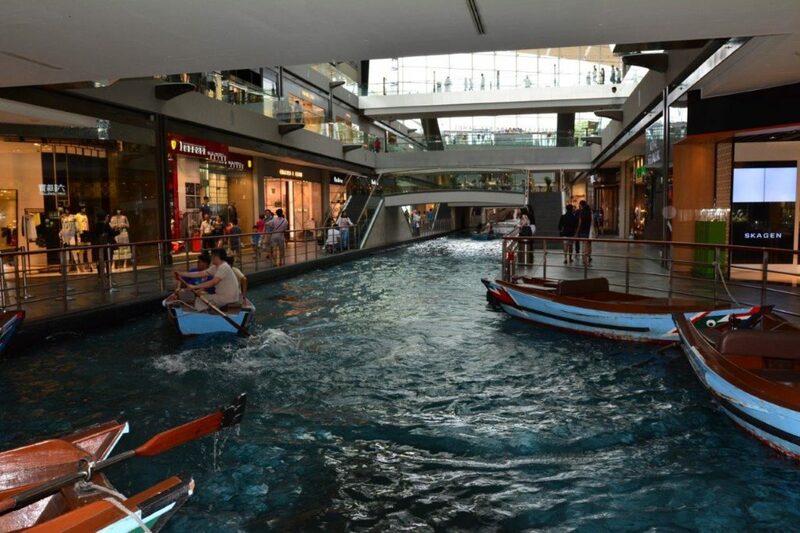 A canal runs through the shoppes offering Sampan rides. No wonder why it is one of the world’s most photographed buildings. 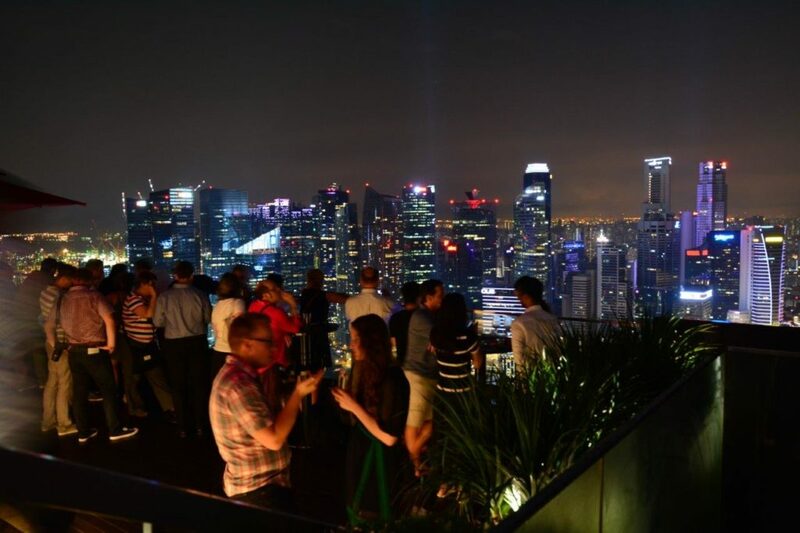 We spent quite some time here and decided to have dinner here at Cé La Vi, a rooftop club lounge offering spectacular views of the skyline. We ordered wagyu beef steaks which are only available on such select high-end eateries in the world. It was the best steak which I had in my life, highly recommended. 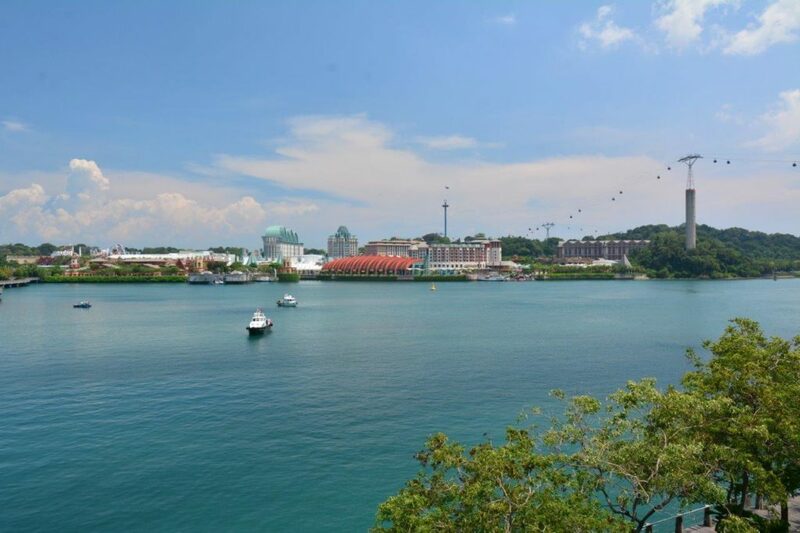 Following day we headed to resort island, Santosa which features the theme park Universal Studios Singapore, a casino, Madame Tussauds wax museum and a 2 KM long sheltered beach among several other attractions. 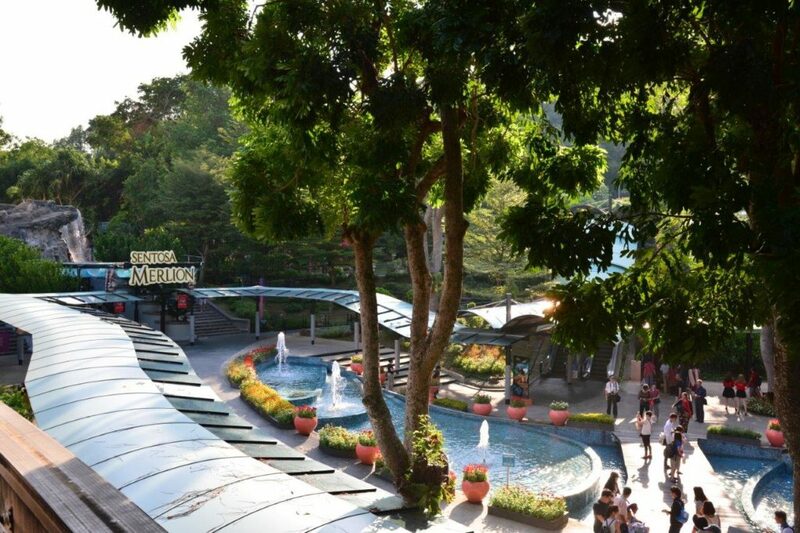 On the way back we took a cable car and stopped at Mount Faber Peak where we discovered a bridge full of little bells. 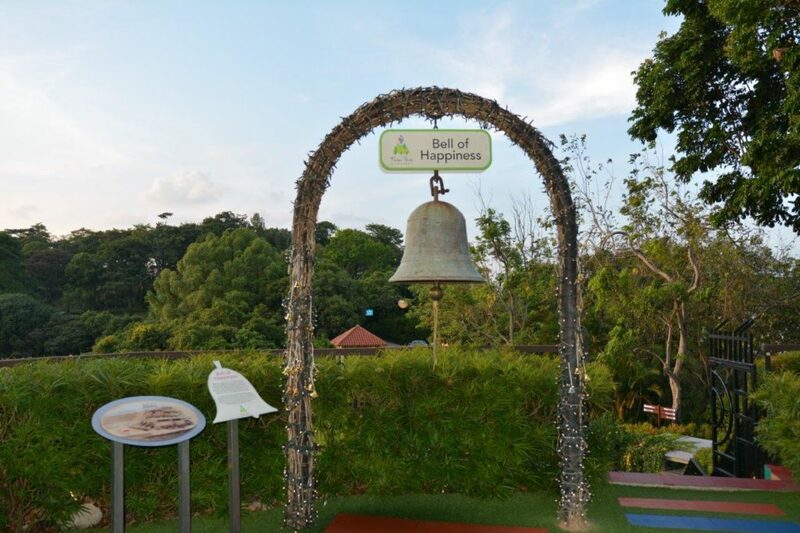 People also ring “bell of happiness” for their wishes to come true. 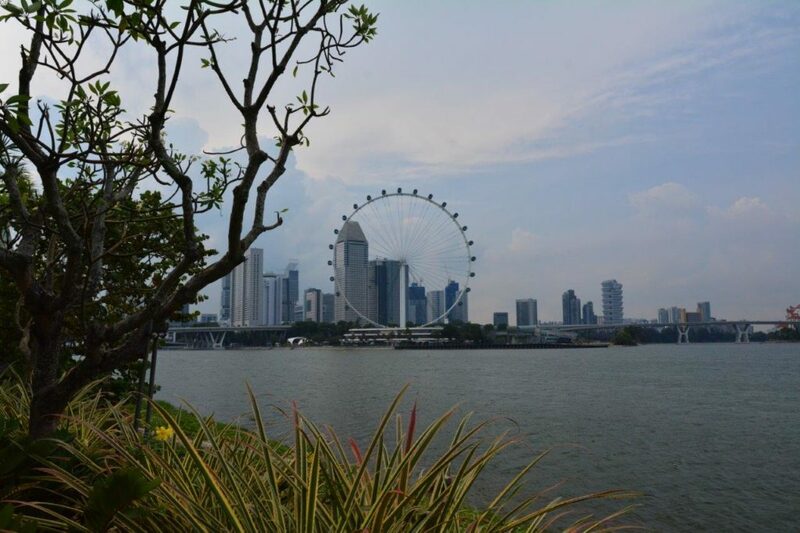 No trip to Singapore is complete until you visit Merlion, our next stop. 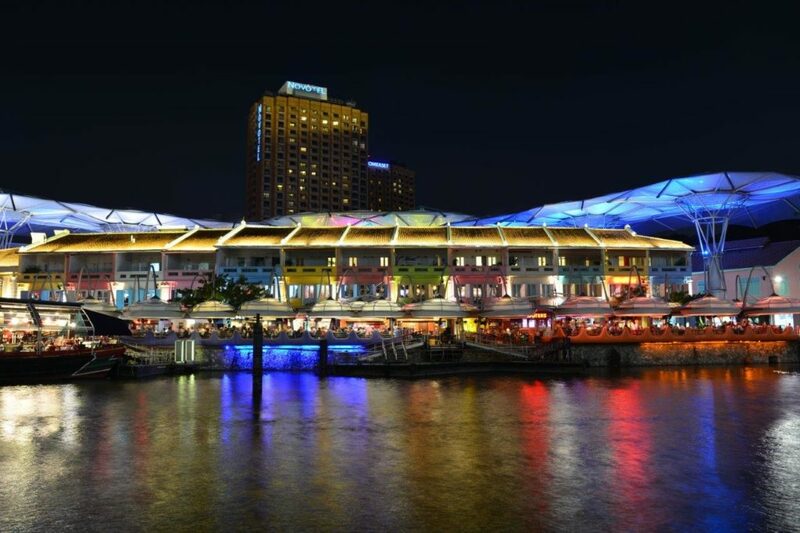 It is the official mascot of Singapore, depicted as a mythical creature with a lion’s head and the body of a fish. 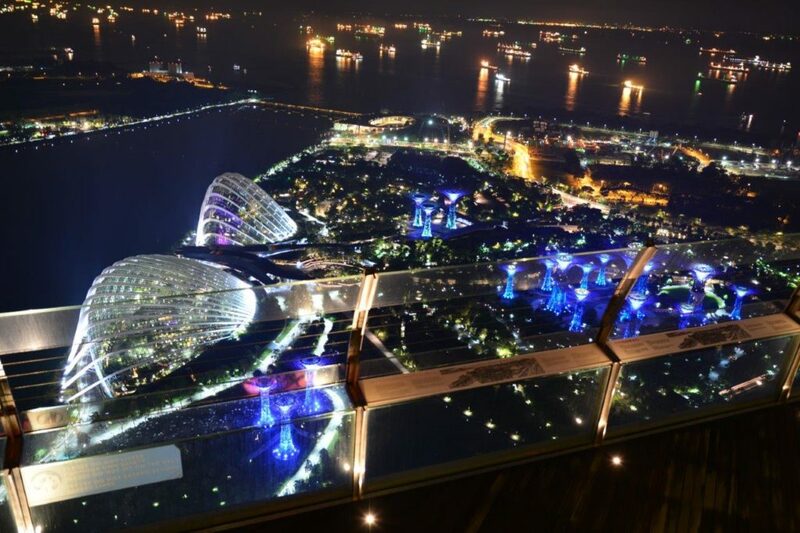 From here you can also photograph Marina Bay Sand with excellent vantage points. 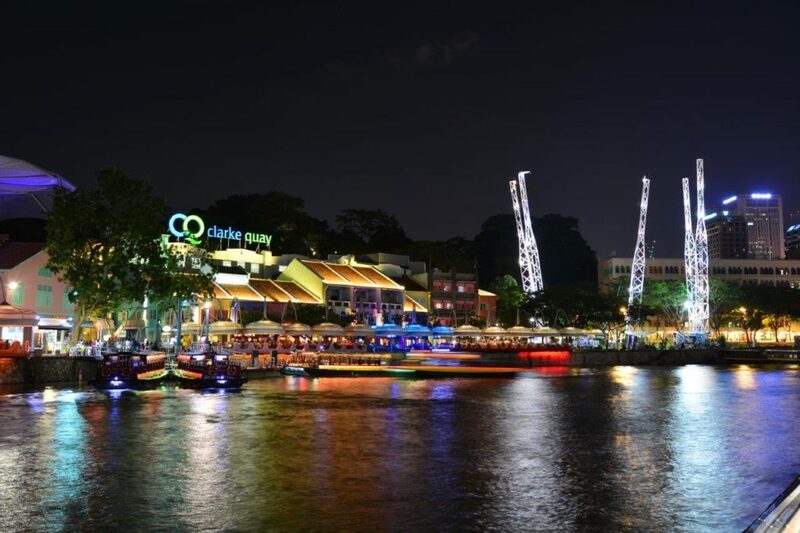 Our last destination for the day was Clarke Quay, which is home to many nightclubs, restaurants and a reverse bungee. 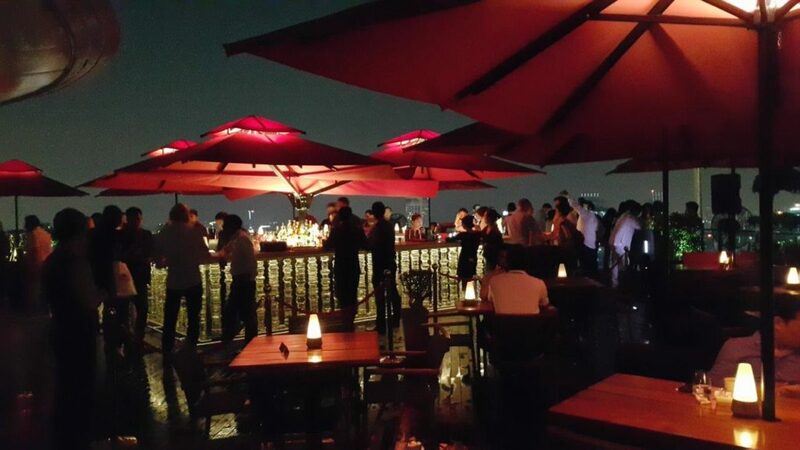 You can also take a river cruise or a river taxi from here to enjoy the gorgeous views of the river at night. After having dinner here, we had a walk alongside the river bank. With this, we called our day end and headed back to the hotel as we were flying tomorrow morning. 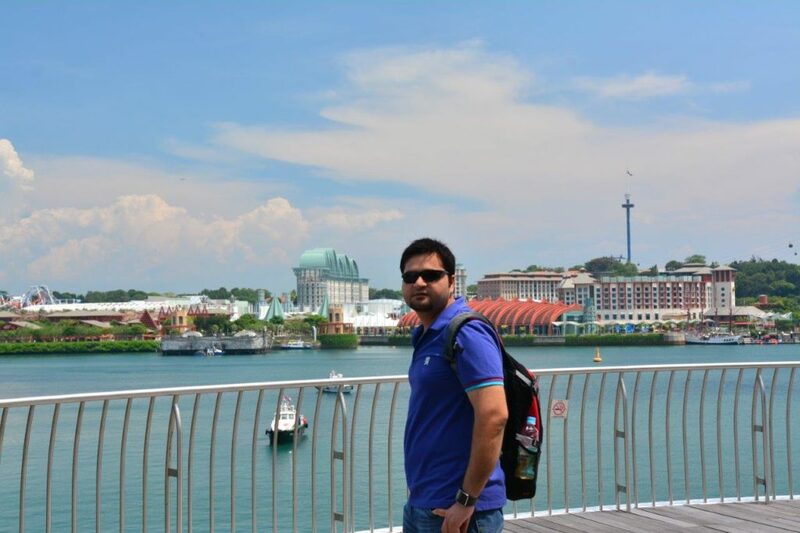 My visit to Singapore is one of the most memorable trips I ever had. 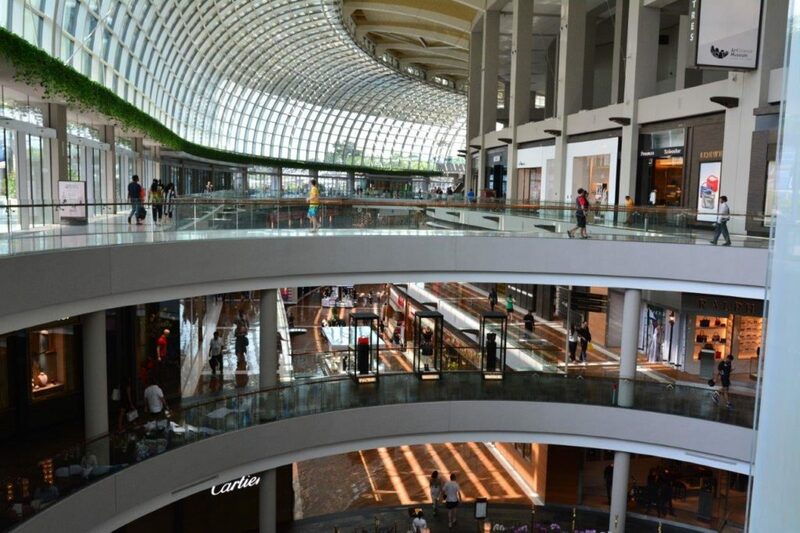 It is a futuristic city with fun for everyone. Above all, it defies the norms and limits by proving us what can be achieved in a short span of time.